A day out with the Year 10’s at Exmouth learning all about marine habitat classification! 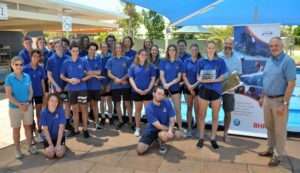 Understanding deep marine habitats…. what’s there and how do we do it? The dramatic improvement of underwater camera and acoustic systems is recent times has changed the way we investigate and visualise habitats that were once inaccessible. 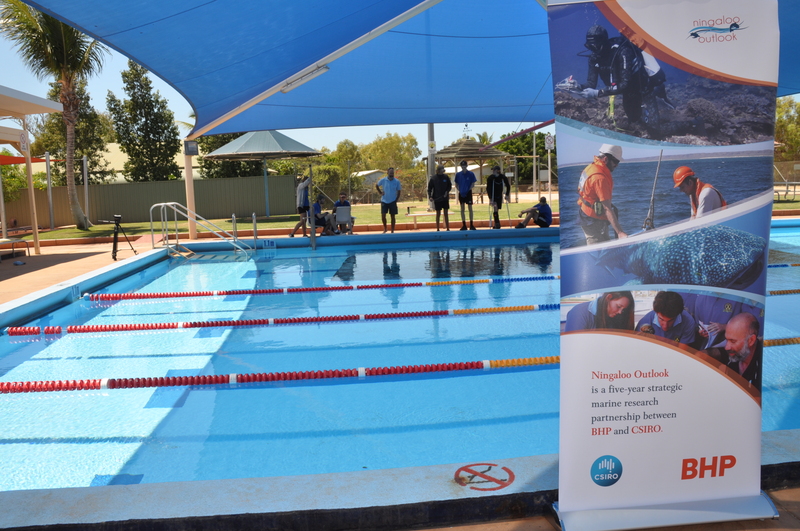 Such technologies are being employed by the Ningaloo Outlook team to map deeper areas of Ningaloo. 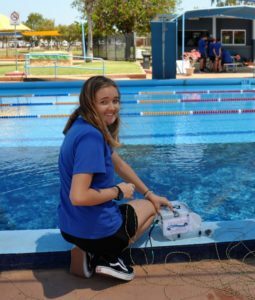 Everyone had an opportunity to control the OpenROV that they helped build with CSIRO Engineer Nick Mortimer during National Science week last year. The students used their precision driving skills to direct the ROV over a reef picture laid out on the bottom of the pool and then with help from Lucy Robinson learnt the painstaking and systematic work involved in recording what was observed in order to classify habitats and generate marine maps. 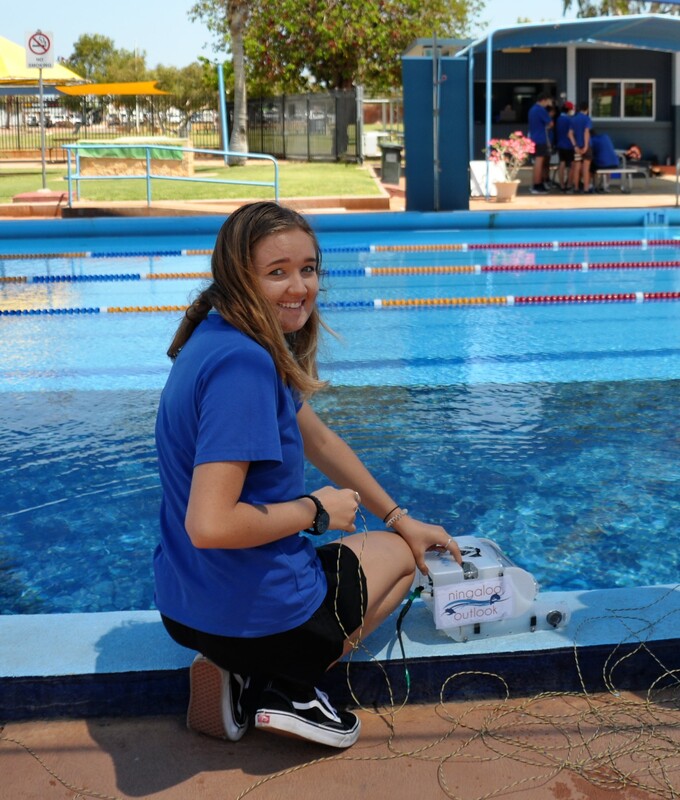 Getting ready to drive the OpenROV over the ‘reef’. 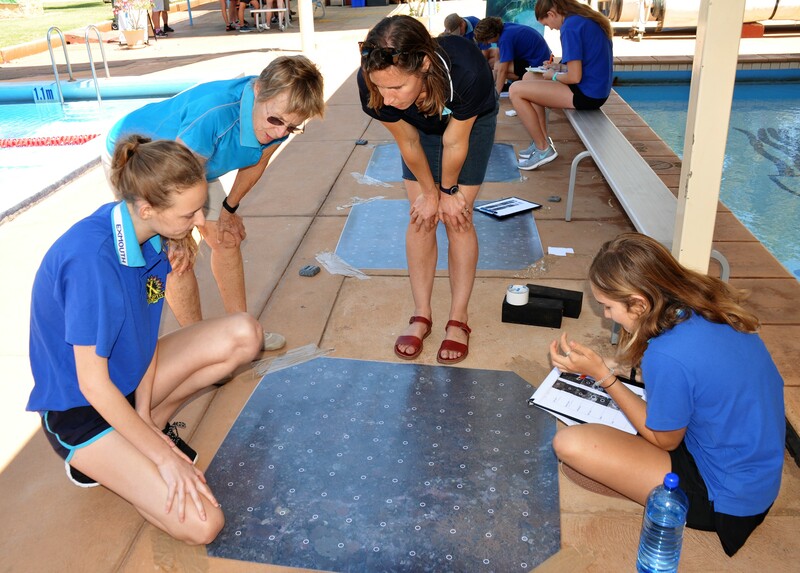 Lucy Robinson teaching students how to collect data from deep reef images. Our deep reef PhD scholar Joe Turner was also on hand to show the students how the video images are analysed by scientists! It was an informative and fun learning experience for all involved, and we are already planning next years activity! On departure CSIROs Nick Mortimer ‘gifted’ the OpenROV to Exmouth Science Specialist Teacher Susie Bedford and Principal Ray Denholm on behalf of the Ningaloo Outlook Project.